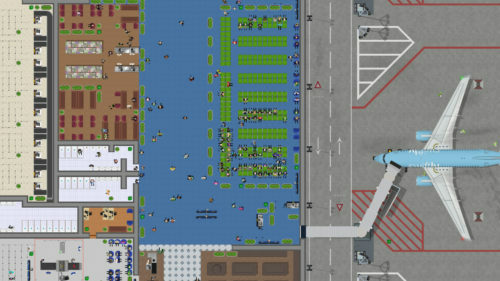 Airport CEO is a 2D Tycoon and management game in development for PC and Mac where you take the seat as a CEO of your own airport. You will build the airport’s infrastructure with everything from runways and taxiways, gates and tarmac to constructing terminals with check-in, security, restaurants and shopping. 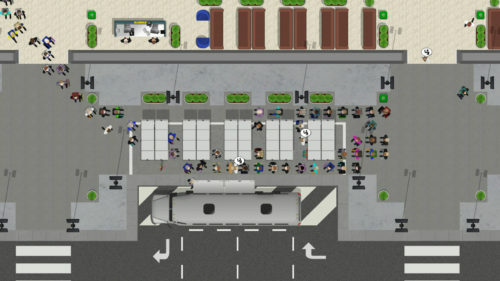 You will manage the business perspective of the airport by hiring employees and executives, making deals with airline companies and making sure that ends meet by keeping an eye on budget and resources. You will have to cater to the passengers by keeping waiting time to a minimum, by having friendly and helpful staff around and by making passengers feel secure, keeping any potential criminals at bay; a happy passenger is a shopping passenger. Hopefully you won’t run into any problems such as employee or equipment breakdowns, bad weather causing massive delays or emergency landings. You will be responsible for when things go wrong and, of course, filthy rich when things go right.